Prepare the pasta according to the directions. 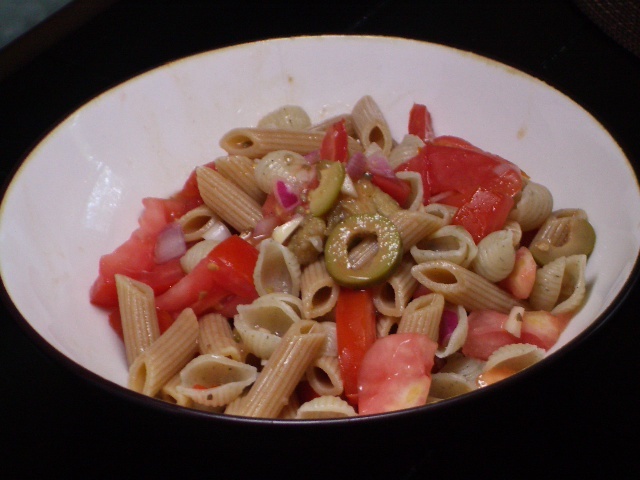 Mix together with the eggplant salad, adding olive oil if necessary. ENJOY! This recipe is really meant for the leftovers of your eggplant salad from last night, but no reason not to make it just for this pasta dish! ** By the way- we used whole wheat penne pasta and fresh dill shells in this picture. Any combination of pasta would probably go great, and we recommend trying different kinds in one dish.